While the Western world’s eyes may be on New York Fashion Week at the moment, much of the East is doting on Delhi. 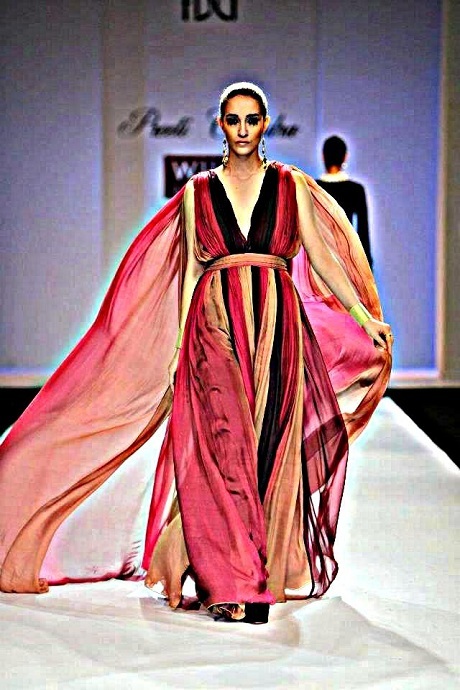 Wills Lifestyle India Fashion Week Autumn/Winter 2012 kicked off there, today – and I have to say, no one does colour quite like the Motherland. Expect excess and no less. Colour, texture, print, pattern - it's all there at Anupamaa by Anupama Dayal. 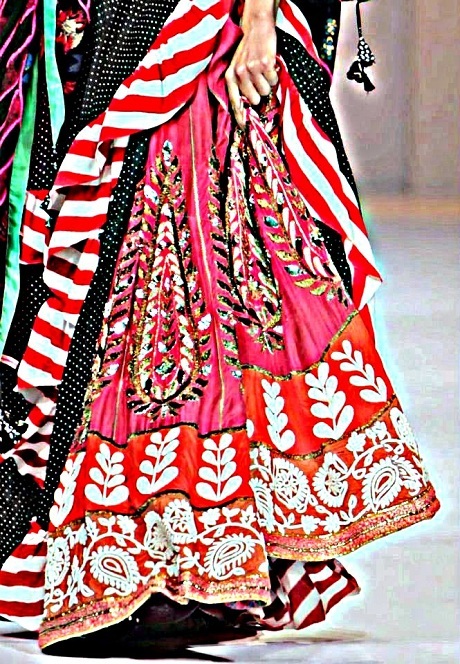 This folk inspiration comes from Sabyasachi - who was the only one doing it a few years ago. Delhi also does drama best - evident in Preeti Chandra's wonderful tiers of joy. I loved the subdued mix of colours, that appear much brighter, when put together. 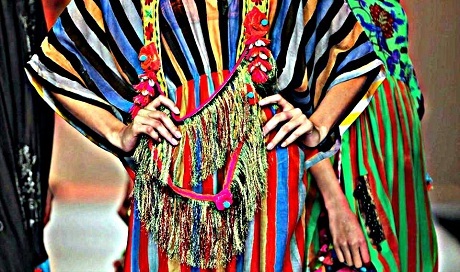 Not the first time we are seeing fringe for FW12. But while New York minimizes, Delhi emphasizes - seen here at Anupamaa by Anupama Dayal. James Ferreira took a classic bandhani print and exaggerated its proportions. So smart. India is a land of contrasts, more than any other. I’ll look at some of the contrasts going on in Indian fashion right now, in future posts. 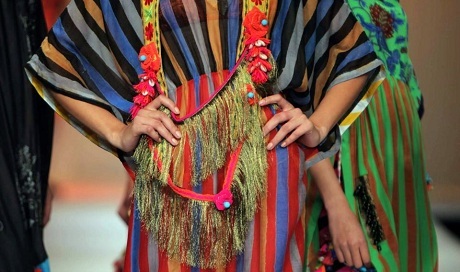 More WLIFW coverage to come, plus Lakme Fashion Week in Mumbai takes place in March. Following far-reaching fashion has become more than a full-time job. Right, I have one of those, too…more later, as I get back to that part of myself. Images have been modified by moi. Original photos courtesy of WLIFW.